Jules Romano feels calmer on the field this fall for the Princeton Day School girls’ soccer season, with one season under her belt. Romano displayed that composure as PDS hosted the George School (Pa.) in its season opener last Friday, tallying a goal 1:47 into the contest. PDS kept shooting, scoring four goals in the second half on the way to a convincing 5-0 victory. While Romano’s main focus is energizing the PDS defense, she is looking to attack when there is an opening. With the Panthers working a quartet of freshmen into their rotation, Romano wants to help get them up to speed. “Once we take them under our belt and get them going, they will definitely be impact players,” said Romano. PDS head coach Pat Trombetta liked the way his team got things going against George. “It was a nice start; we scored in the first two minutes of each half,” said Trombetta. In the second half, the Panthers got rolling as they turned the contest into a rout. 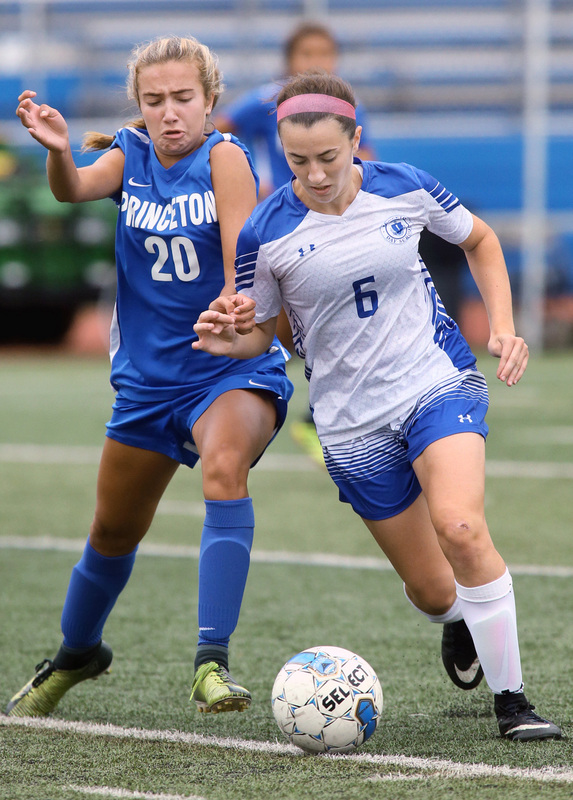 “The possession was good all over the field,” said Trombetta, who got goals from sophomore Kelly Beal, freshman Ava Mattson, senior Ariana Jones, and senior Kelsey Lane. Trombetta likes how Romano has been controlling things in the midfield. “If I look at our midfield, she is probably the most consistent and versatile player that we have on a team,” said Trombetta. In Romano’s view, PDS should draw confidence from the great effort. “Getting your first win on the home turf with all of the support just boosts up your morale,” said Romano.